The Rolltek ST3 SoftWash Units from SoftWash Technology are built to clean a wide range of surfaces using a range of treatments to sanitise and protect exterior surfaces. The Rolltek ST3 SoftWash Units are assembled and tested in the UK, produced with quality and serviceability in mind, our products are built to server your business with versatile, reliable and field serviceable pump units offering high resistance to corrosive products. Our frames are manufactured in the UK and powder coated for a professional and lasting finish. Our spiral reinforced inlet hose ensures that full flow is available to the unit at all times, the internal wire prevents the hose from being sucked flat or kinked whilst in use and the external coating combats abrasion from exterior surfaces. Intake hoses can be changed easily with the Stainless Steel Cam-Lock connection, easy to maintain these couplings offer optimum resistance to the product being applied whilst being easy to service in the field. The outlet hose is a flexible yet chemically resistant product with a PVC liner, manufactured to operate in industrial environments the UV resistant coatings prevent premature deterioration from direct sunlight and temperature fluctuations as well as mechanical abrasion. The PVT lances are constructed of polypropylene, stainless steel and Viton, three of the most resistant materials we have available to us. The gun style trigger offers a simple easy pull alternative to the ball valve employed by many manufacturers which offer no 'dead man' type protection. The included trigger lock does allow for the comfort of locking the trigger in the on position for extended periods of application or rinsing but is easily knocked off should the need arise. The 500mm stainless steel lance tube keeps the business end of the machine away from your body and provides a safer more comfortable working environment for the user. We supply every single unit with our Quad-Jet quick release nozzle holder allowing for a change of nozzle on the fly without having to worry about leaks or pump cycling. Included are 4 of the most common nozzles used within. the SoftWash industry giving you a 0°, 15°, 25° and 40° orifice offering a pencil to ultra-wide fan for flat surface application. The Twist-Jet is also supplied which gives the user the ability to change the fan angle of the jet by simply twisting the outer casing of the nozzle, giving a spray patter ranging from 0° through 80° these are also available in different orifice sizes to change the output and pressure of the pump for special applications. The Cannon or Long Range Nozzle is also available to maximise the units ability to rinse at heights, specially re-engineered to match the ST3 pumps. We power the Rolltek ST3 units with either the Honda GX120, the Honda GP160, and the Loncin G120, both reliable and easy to maintain engines; the Honda GX120 comes with a three year return to base manufacturer's warranty, the Honda GP160 with three months and the Loncin with one year. The heart of the unit is the ST3 roller vane pump, the solid stainless steel body offers both resistance to internal and external corrosion but also to mechanical wear, increasing the overall working life of the pump units. Our special polypropylene rollers are field serviceable, cost effective and A rated with Sodium Hypochlorite based products. The ST3 is a self priming pump which means that it will draw fluid from the suction hose without a positive head of water, however running the pump with no liquid inside the body for extended periods can lead to premature seal or roller failure. The unit operates using an bypass to inlet system, this prevents dilution of the original mix in situations where chemical is added inline with the system, most USA made engine driven systems operate on a return to tank principle, this is often because of the large tanks of product they employ where returning the flow to tank keeps the mixture from separating. The pump unit is assembled with a variable pressure bypass valve, this allows the operator to vary the flow and pressure of the machine with a minimum output of around 1.5 - 2 Litres per minute. 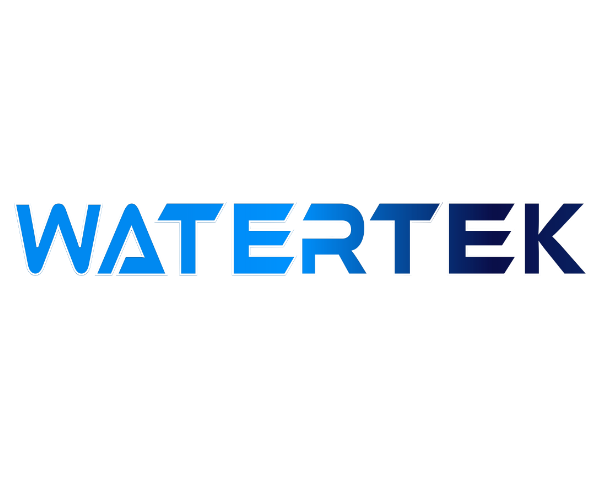 This vast flexibility allows the operator to apply their treatments in a safe and cost effective manner, minimising run off and limiting environmental concerns. Turning up the flow rate gives the operator opportunity to unleash the full power of the roller pump units allowing for a high flow rinse of render or roof elevations at up to 27 LPM flushing away contamination and surface debris. 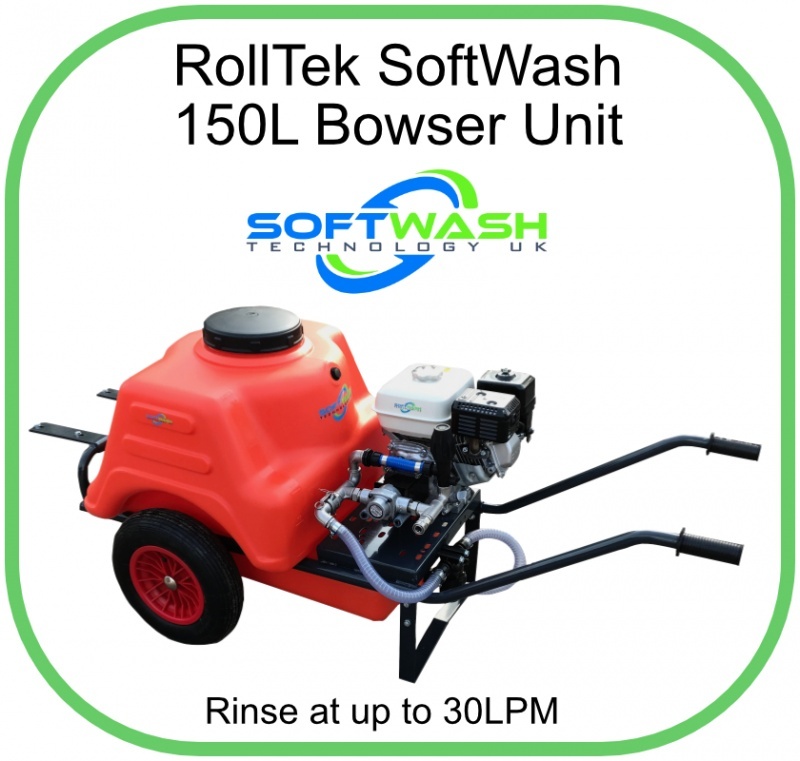 The Rolltek ST3 SoftWash Units are designed to be a simple, reliable and user friendly workhorse. Operating across a wide spectrum the units are ideal to operate within our niche market, the ability to vary the flow and output pressure gives you the power to apply a wide range of products using the same system, be it a Biocide application or an Oxidising treatment we are able to apply safely and economically through lance or pole with a single piece of equipment. Rinsing is also taken care of by switching to the 0° pencil tip, projecting the flow onto elevated surfaces there is no need to worry about pump cycling and overheating associated with electrically powered units which are only able to operate on a specific nozzle range.